This publication confronts the significant dilemmas faced by architects and their clients in making historic buildings more inclusive in response to contemporary access standards and regulations. This publication confronts the significant dilemmas faced by architects and their clients in making historic buildings more inclusive in response to contemporary access standards and regulations. 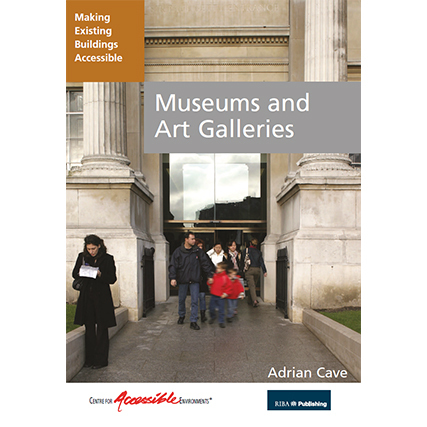 Highly illustrated, closely researched and authoritative in scope, the book examines impartially the evidence from 14 varied case studies including the Queen’s House Greenwich, the National Portrait Gallery and Hollytrees Museum, Chelmsford, resulting in a valuable compendium of successful practical ideas. In six of the case studies, the story of the brief and design solutions is narrated by members of the project teams who undertook altercations. This reveals the process by which decisions were made and how the needs of disabled people were balanced with the need to preserve the historic character of the building.